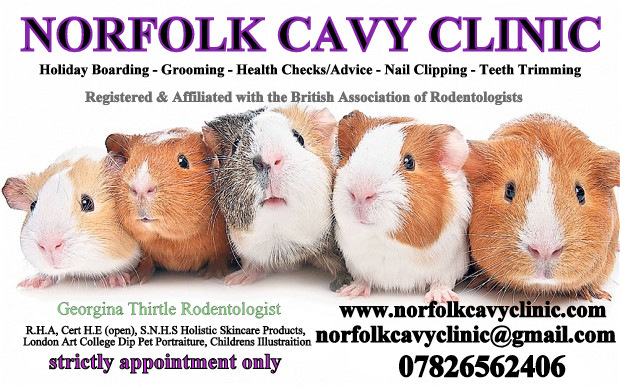 Norfolk Cavy Clinic - North Walsham Guide is created in North Walsham for North Walsham. REVIEW ~ Excellent guinea pig care! I bring my guinea pig here for his dental treatments which are ongoing and I can not recommend this place enough!!! Lovely people, Georgina has a wealth of knowledge and experience, is kind and caring and I would not take my pigs any where else, and her advice is invaluable to me! !Thank you! !